The Kansas City Chiefs 45-10 win over the Washington Redskins in Week #14 gave their coach Andy Reid his 150th coaching win in the NFL. He becomes the 21st coach to reach that milestone. He is one of a handful of coaches with 150 coaching wins without a Super Bowl championship on his resume (more on that in a moment). Last year we not only had a first with two coaching brothers facing each other in the Super Bowl, but we also had two coaches making their Super Bowl debuts in that February 3rd contest. Baltimore’s John Harbaugh had 54 regular season wins prior to his first Super Bowl coaching assignment, while little brother Jim had 23 wins in his first two seasons at the helm of the 49ers. In the Super Bowl era (since 1966) we have several coaches who have won 70 or more NFL games (regular season and playoffs) but have never made it to the Super Bowl. Topping that list is Marty Schottenheimer who had 205 career wins but never coached in the Super Bowl. There have also been a handful of coaches who have made it to the Super Bowl but never won the big game. In fact, there are seven coaches who have won 100 or more NFL games, have coached in the Super Bowl, but have never won a Super Bowl. They are: Dan Reeves (201 wins), Bud Grant (168 wins), Jeff Fisher (159 wins), Marv Levy (154 wins), Andy Reid (150 wins), George Allen (118 wins) and John Fox (111). 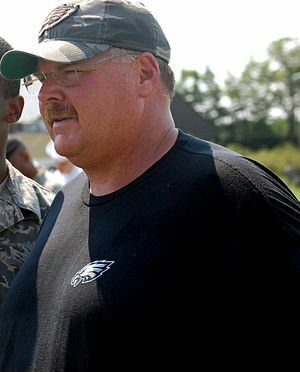 I love Andy Reid, being a long time Eagles fan. I’m hoping good things for him this year with the Chiefs though. He deserves that superbowl ring.